The first known video promoting the scam of “Man made global warming” showing how they demonized the life gas CO2 and make man earth’s enemy in the process…. is from 1958! Environment was the chosen mechanism to bring about global gov. “They” needed a global problem that required a global solution… Enjoy some early Al Gore type hype from 1958 in this video. According to the Club of Rome: “The common enemy of humanity is man. “In searching for a common enemy against whom we can unite, we came up with the idea that pollution, the threat of global warming, water shortages, famine and the like, would fit the bill. Not based on any facts! They just came up with the idea. What is the Club of Rome? A think tank created by men and women who want a global communist system that they control. Who are these people? Here is a list of present and notable members from the Green Agenda (highly recommended you spend so time on this site) Members include David Rockefeller, George Soros, Henry Kissinger, Bill Clinton, Jimmy Carter, Mikhail Gorbachev, Kofi Annan, Maurice Strong, Bill Gates, Ted Turner, Tony Blair, Robert Muller, The Dalai Lama, Hassan bin Talal, Javier Solana, Javier Perez de Cuellar, Gro Harlem Bruntland, Garret Hardin, King Juan Carlos of Spain and his wife Queen Sophia, Queen Beatrix of the Netherlands, Prince Philippe of Belgium, and about 80 other wealthy elites, new age cultists, former and current U.N. figures, and political figures. Now for some truth about climate Change. The Sea Around Us by Rachel Carson shows the effects of the ocean cycles. Those who constructed the MMGW fraud knew when the natural ocean and sun cycles would produce the most natural warming. They used this information for the basis of the fraud. Those natural cycles are now moving into the cooling cycle. The global warming lie is used to bring about UN corporate world gov. by the same people who created the UN, Israel, Wars, Depressions, Famines etc. Their disturbing visions are laid out in Agenda 21. I agree, the debate is over and the fraud exposed! – We have now entered the cooling cycle. Elected officials (who represent the corporation, not the voters), teachers, preachers, media, health etc. (bow to their corporate masters) and law enforcement (Policy enforcers of the corporation) are the useful idiots used to spread the propaganda and implement “their” evil plan. Some know what they are doing … most don’t. It is our job to inform all of them and insist they STOP immediately! They’re involved in fraud, conspiracy to commit, genocide and breach of trust. The Green Police shut down Toronto community garden, Canada and U.S. Department of Homeland Security launch project to strengthen border security , Woman gets $81 ticket for parking car with windows down in BC , Justin Trudeau – just another Globalist minion , Canada’s debt and deficit , Environmental Extremism Extravaganza and the Cheese Mafia? 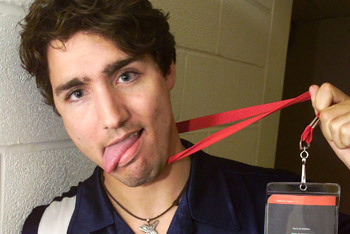 Justin Trudeau is a member of the UNPA (united nations parliamentary assembly) which if implemented, will supersede Canadian parliament and sovereignty. Many members of parliament and the Senate are members. 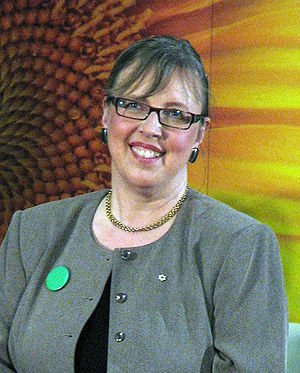 David Suzuki and Maude Barlow are members. In the old days it was Treason and the solution was usually a rope. Here is a short list of Traitors which will verify what I’m saying. http://en.unpacampaign.org/status/ca.php (this is just one group, there are many more with the same agenda operating within our Borders. We must expose them as the Traitors they are. This report was made possible by funding from the Ontario Trillium Foundation. The author extends appreciation to the staff of the David Suzuki Foundation for their contributions, guidance and dedicated support of this work. 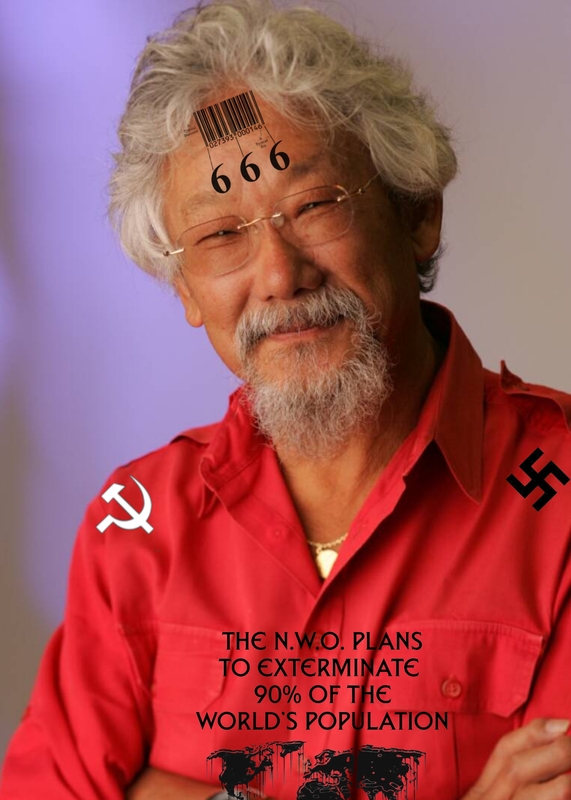 David Suzuki is a UN/Globalist minion who wants destroy your property rights among other things. Maurice Strong, a high-ranking globalist UN criminal is an honorary board member of the Suzuki foundation. You think your cost of electricity is high now? Mr. Suzuki and friends don’t think so. As UN/Globalist minions, they are more than happy to follow UN directives in the continued effort to destroy your right of property, your life and your Country. The timed ratcheting-up of building and appliance performance standards “so that the current best in class become minimum requirements in a few years”, as noted by Ashok Gupta of the Natural Resources Defense Council,112 would encourage greater energy efficiency on an ongoing basis. Ontario’s Building Code incorporates both energy and water conservation measures. Code authorities also could consider regulating plug loads. 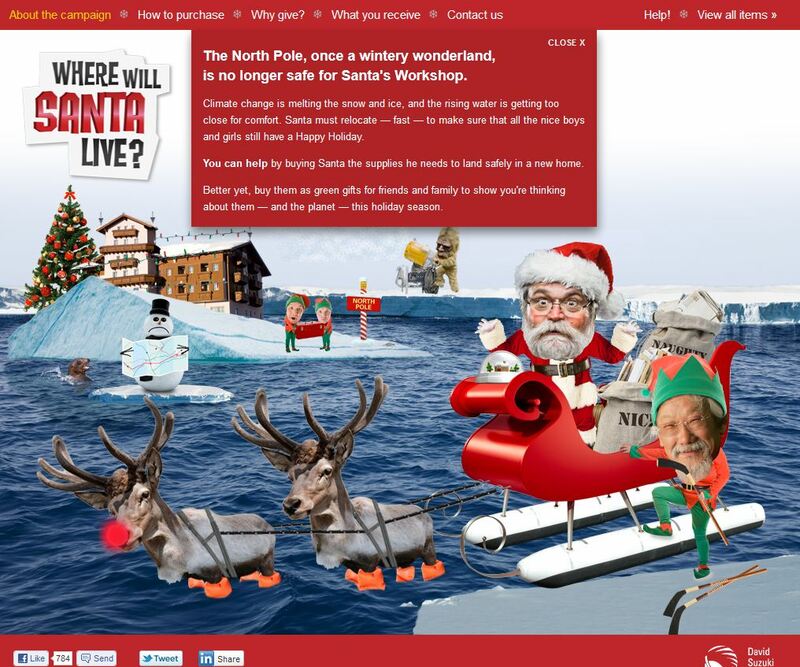 This is rich – David Suzuki worried about Santa Clause. Suzuki doesn’t care about Santa or Christmas. Suzuki is an atheist, who worships the earth, hates the human race and would be happy if the “naked ape” just disappeared from the face of the planet, although he seems in no hurry to leave. 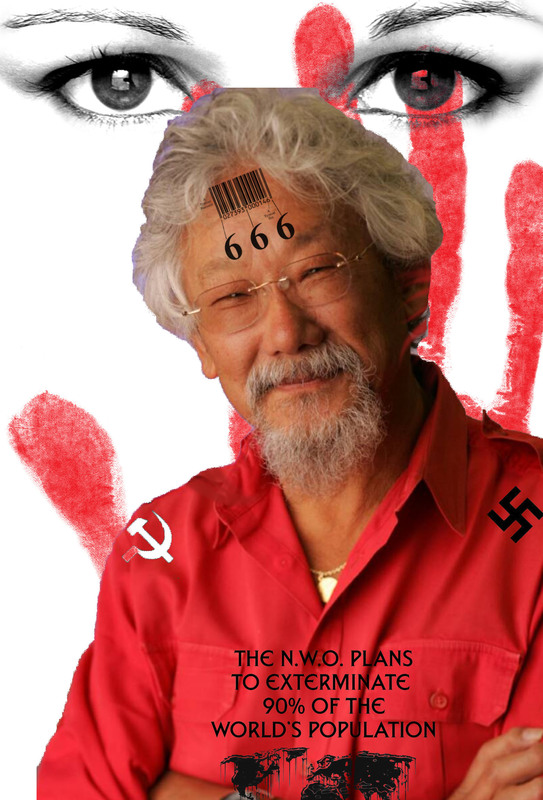 David Suzuki is a sick man who suffers from a deep psychosis. Maybe this Christmas bloggers should set up a “David Suzuki needs help fund.” With luck, we could raise enough cash to afford Suzuki a padded room and 24 hr. care. Suzuki abuses children by trying to convince them that his fantasies are reality based. They’re not! David Suzuki is a danger to children and a fraud. Some people wish for peace on earth at Christmas. My wish is that Suzuki be barred from having any contact with children. My second wish, Suzuki agree to debate me in a public forum. Child abuse is the blanket term to describe four types of child mistreatment: physical abuse, sexual abuse, emotional abuse, and neglect. In many cases children are the victims of more than one type of abuse. The abusers can be parents or other family members, caretakers such as teachers and babysitters, acquaintances (including other children), and (in rare instances) strangers. For over three years this blog has done it’s best to expose the fraud of MMGW. One of the main tools used to spread this fraud has been children. 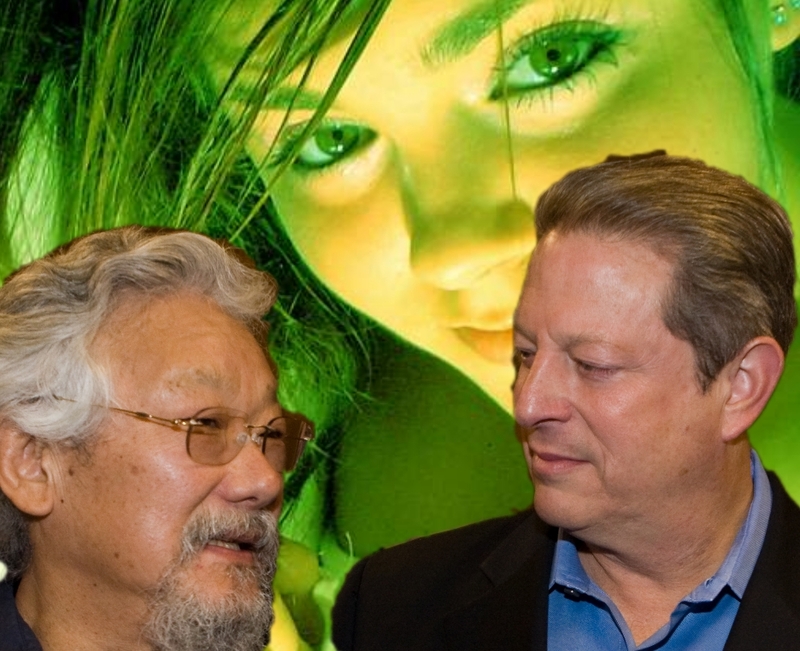 Through lies and deception, men like David Suzuki and Al Gore have been abusing your child for years. Most authority figures your child comes in contact with, especially teachers and church leaders, are guilty of abusing your child through lies and deception. Lets not forget the media and politicians who are equally guilty of these abuses. In fact, any person or organization that is involved in the promotion of MMGW is guilty of child abuse. Read “Cloak of Green” and the “Green Agenda” found on the top bar of this blog to get a better understanding of the abuse and abusers. Make no mistake – your children are being abused in a most heinous manner by the very authorities you entrust them to. Suzuki had a different answer. By the time someone has reached university age, he said, they’ve been so corrupted, they’ve got so much invested in the system, that there’s really not much hope they can change. That’s why, he said, I’m focusing most of my efforts now on children. For them I think there’s hope. 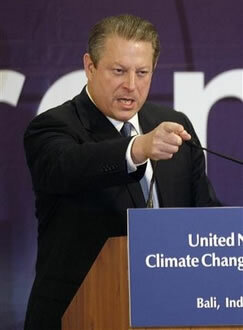 Is Al Gore a Chronic Liar?